88 Saab 900 SPG - need a manual transmission type 8 primary drive input gear (33-tooth). Land speed race this car and currently use a type 7 set. Best speed so far 162.2 MPH for the standing start mile (Maxton). The type 8 gear set is good for 175+ MPH. ok peaked my interest how do you tell what gear set from outside of the transmission what have you done to it to get 162 mph I only got 135 out of mine before the engine broke . I am also in the process of getting my old 86 challenge saab on the road again . In reply to mad_machine: Thanks, put a post on their site. Trans serial number 4th digit will be the primary drive gear ratio. Type 6 & 7 are common. Type 8 are rare in this country; very few models rumor is their are 1985 models with that primary drive. 162 MPH has been a 3-year process , 70+ runs. Stock rebuilt engine with Larger turbo, custom header, external wastegate, intercooler, phase 1 cams pull to redline of 6,600 RPM, larger fuel injectors, high volume fuel pump, 3-inch straight exhaust, type 7 primary drive and safety gear - rollbar, race seat, fire system, and race belts. I believe your 86 Saab would have type 6 trans and a 3.67:1 differential with 196/60-15 tires it should run 147 MPH @ 6,000 RPM in fifth gear. 8s are super-rare in the U.S., as noted. I have never heard of any US cars having had them, nor have I ever seen them spec'd in the electronic parts catalog or gear spec charts I have. Try calling Brad Schaffner at 816-333-6582 (KC Saabs in Kansas City). He's a Saab dealer but also big into modifying/racing classic 900s (circle track, mostly) for many, many years. Other than that, I think you're looking at getting a set from Europe. They occasionally come up on UK eBay. Also try the forum at www.saabrally.com for possible leads - there are a couple Brits on that site. Also try http://forum.saabturboclub.com/ which is in Swedish, but everyone in Sweden seems to speak English. They have an English-only sub-forum but no one ever reads it, so inquire in the "Chassi, bromsar och transmission" sub-forum. If you strike out, I have a German acquaintance who'd likely be willing to ask on a German Saab forum -- the #8s were fitted to some German cars. I have heard about, but have no experience with, converting an upper gear to a lower; sorry, no details. Some 79-80 4-speed gearboxes had 31:30, which is better than what you have. I do not know whether they will work in a newer primary case, however - something to ask at www.saabrally.com. If they will, in fact fit, then try calling Scanwest Autosport in Seattle; ask to speak with Rob: 888-90-TURBO. procainestart wrote: Some 79-80 4-speed gearboxes had 31:30, which is better than what you have. Is that the much lauded 'chillcast' gearbox? I know I am in for the type 8 primaries.. not so much for the top speed.. but for a more relaxed highway cruising speed. Luke wrote: Is that the much lauded 'chillcast' gearbox? Hmm, good question -- I don't know. I believe the chillcast was made through '80, and that ratio info came from a Saab document for 4-speeds, so it's conceivable. OTOH, Saab put all sorts of different ratios in their cars, based on the market and engine variant. I don't know what primaries my chillcast came with because it was sort of a Frankenstein 'box made from a large supply of used parts. In reply to procainestart: Thanks for all the leads! I'll see what I can turn up from them. a few months ago I saw some "carlsson" gears on ebay.. I wonder if those were the same as the Type 8s? In reply to mad_machine: Some of the the limited edition high horsepower Saabs were fitted with Type 8's. Good possibility a Carlsson edition model has Type 8's. i just want to know, do saab still producing Saab Parts until now? or they just stop producing parts because they stop producing cars also? 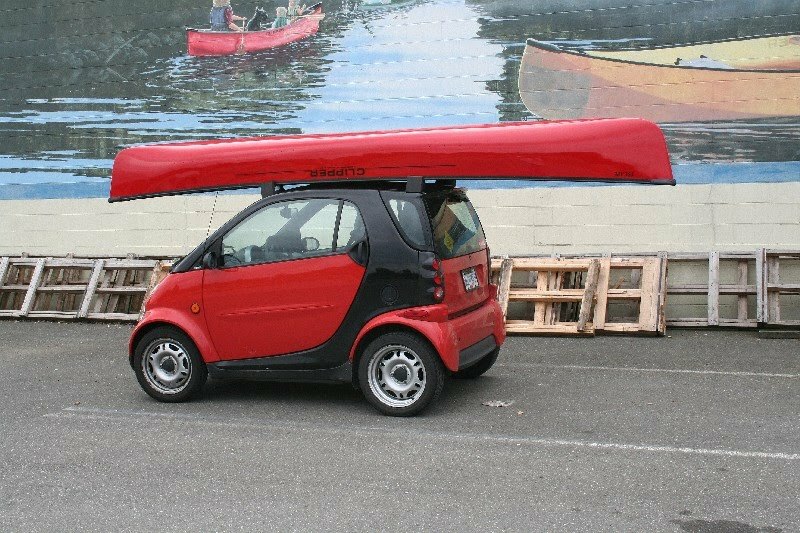 Smart canoe? No kidding! Maybe they are adapting and realize we don't care about Gu¢¢! luqqage or non-Ford E$¢0rt$.